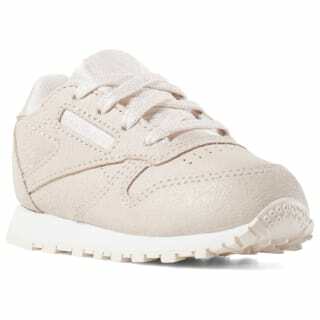 Give her busy feet '80s street style. 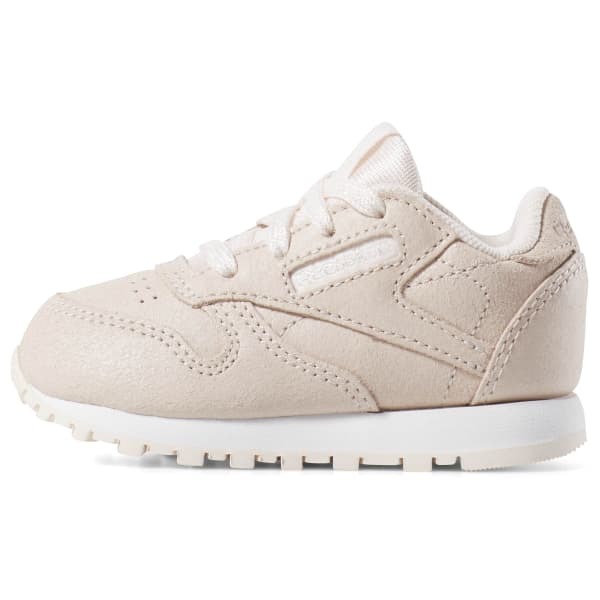 These toddler girls' shoes have a suede upper that keeps them true to the original Classic Leather sneaker. A molded EVA midsole cushions her little feet. An iridescent logo and laces add a touch of flair.